Samsung has been working really hard on its revamped One UI interface, which for most users will come as part of an update to Android 9 Pie. This was definitely the main highlight from the last Samsung Developer Conference in November. However, that event also marked an arguably even more-important step into a public beta testing model for Samsung's development team. 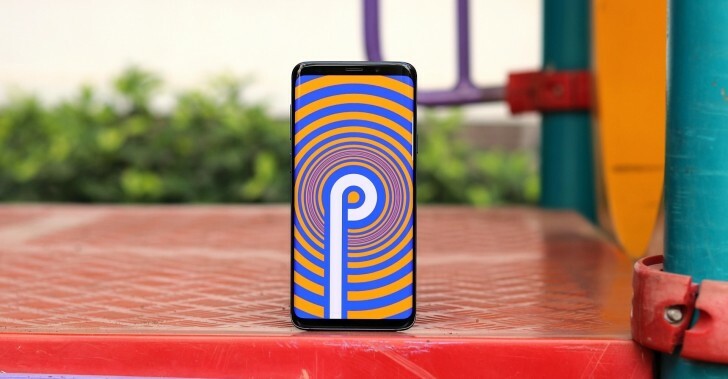 As part ofi it Samsung Galaxy S9, S9+ and the Note9 phones in certain markets, including the UK, France, Poland, and Germany can currently join the Pie Beta program and test early builds. There have already been several of these over the last month. It is also no secret that the Android 9 Pie update and the new One UI will eventually reach the Samsung Galaxy S8, S8+ and Note8 as well. As per the latest discoveries, the year-old models might also get access to public beta builds prior to full update releases. A few recent software builds were spotted online, as evidence of the incoming beta. Builds G950FXXU4ZSA1, G955FXXU4ZSA1, and N950FXXU5ZSA1 are apparently already in testing. The number and letter sequences themselves clearly relate to the S8/Note8 generation of flagships and having the letter "Z" in there suggests that these are beta builds and not just regular test versions. Similarly numbered builds were spotted prior to the launch of the original Pie beta program for the Galaxy S9/Note9. Hopefully this new public beta branch becomes reality, since it could be indicative of a positive future trend of more open Samsung OS development and timely feedback. There was confirmation from Samsung sources that the S6 range would get Oreo but then later that didn't happen. So good luck.